Here at Virgin Australia, we have the best talent, doing the best work of their lives with meaning. Our continuous focus on the guest experience is what unites us and sets us apart in our vision to be the world’s most rewarding travel experience. This role gives the right candidate an opportunity to work in a dynamic environment for an iconic brand. As we continue to transform the technology environment we are looking for an experienced Infrastructure Manager to lead our platform Services transformation. The Platform Services Manager will be the owner of supporting the technology infrastructure both on premise and cloud hosted at Virgin Australia. To be successful in this role you will be a senior IT Professional with a broad technical understanding across IT Infrastructure and in particular enterprise enabling technology such as identity management and Office 365 as well as servers, storage, and database technology both on premise and in the cloud. You will have strong history of leading capable teams of technology specialists including outsource providers and owning and driving performance. The Platform Services Manager, will have sound technical knowledge of Infrastructure Technologies including cloud platforms AWS and Azure . Additionally, Storage, Backup & Recovery, Server Hardware, f5 secure application delivery, Citrix, Virtualisation and Data Centre technologies. A tertiary qualification in information technology, information management or a relevant business discipline or significant experience in an operational leadership technology role in a medium/large, complex organisation. Extensive (minimum of 7 years) experience in managing a technical team to support and maintain continuous operation of business-critical systems and BAU operational activities in a critical or continuous computer operations (24 by 7 environment). High order management experience in building and maintaining high performing teams. Demonstrated ability to lead, manage, motivate and mentor staff. Experience the Virgin Australia Culture which is unlike anything else you have experienced. Become part of an internationally recognised brand that feels like family. See Australia and the world with access to heavily discounted flights for you, your family and friends on Virgin Australia and many of our interline partners. We are extremely proud of our Team Travel program and it won’t take long to realise why. Take advantage of countless industry discounts – Lounge membership, hotels, travel insurance, car hire, tours, retail… the list goes on. Work in an environment that encourages rewarding their team through various employee recognition programs. The sky is the limit when it comes to career development, feel encouraged to diversify your skills and experience with access to internal vacancies. Improve your Mind, Body and Soul with access to discounted fitness programs. We also offer discounted Corporate Health Insurance through multiple partners to suit your individual lifestyle. Be one of Skytrax’s Best Airline and Airline Staff in Australia/Pacific for 2017! Ready to spread your wings? Boarding for this opportunity won’t last long – register your interest today by submitting an application via the link below. 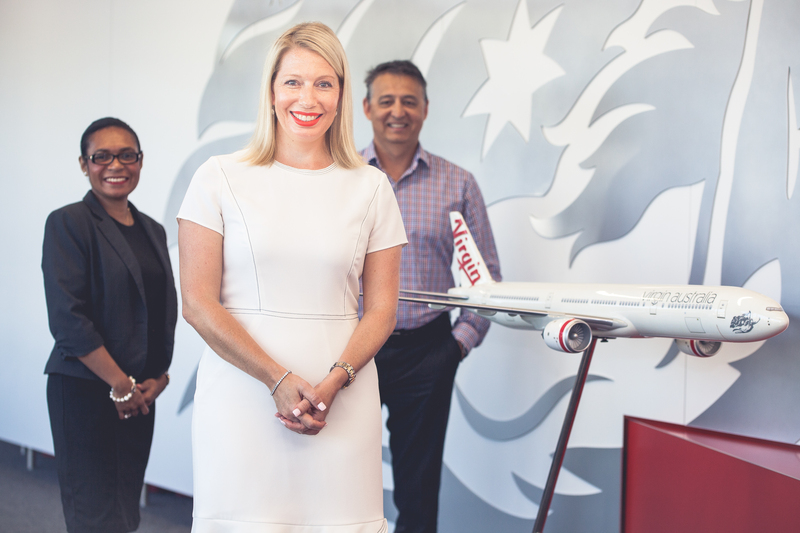 Virgin Australia is an equal opportunity employer and is committed to creating an inclusive culture and supportive environment for our people. We believe diversity in our workforce strengthens our business and we welcome applications from Indigenous Australians, people with disability, people from diverse cultural and linguistic backgrounds, mature age workers and lesbian, gay, bisexual, transgender and intersex (LGBTI) people. We politely ask that you avoid making any approaches or sending any unsolicited CVs to our Recruitment Team or Managers across the business. Virgin Australia is not responsible for any fees related to unsolicited CVs. Reporting to the Head of Technology Transformation you will lead a talented of technology professionals in a positive, collaborative and exciting environment enabling the modernisation of the platforms that support Virgin Australia’s airline operations.